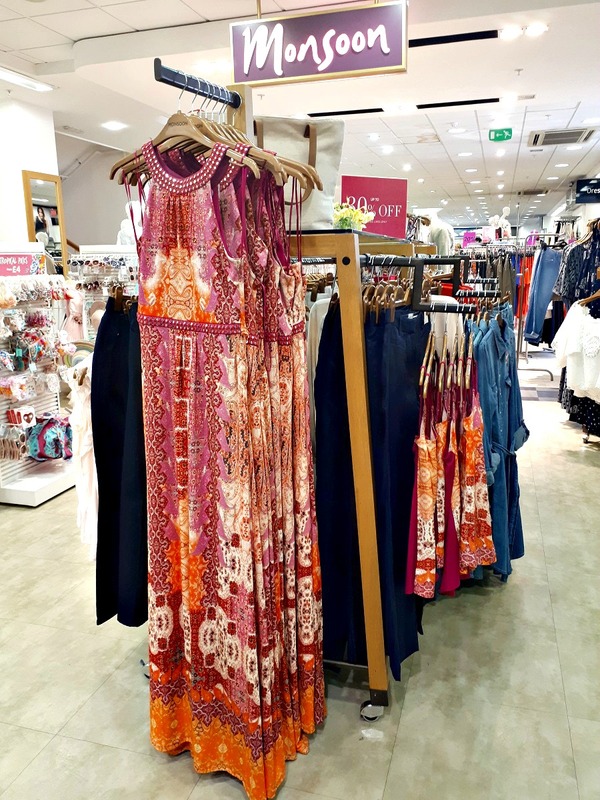 I was very kindly invited in to visit the girls at Monsoon and Accessorize in Moores of Coleraine recently and it resulted in a serious food for thought moment in regards to online shopping versus the in-store experience. 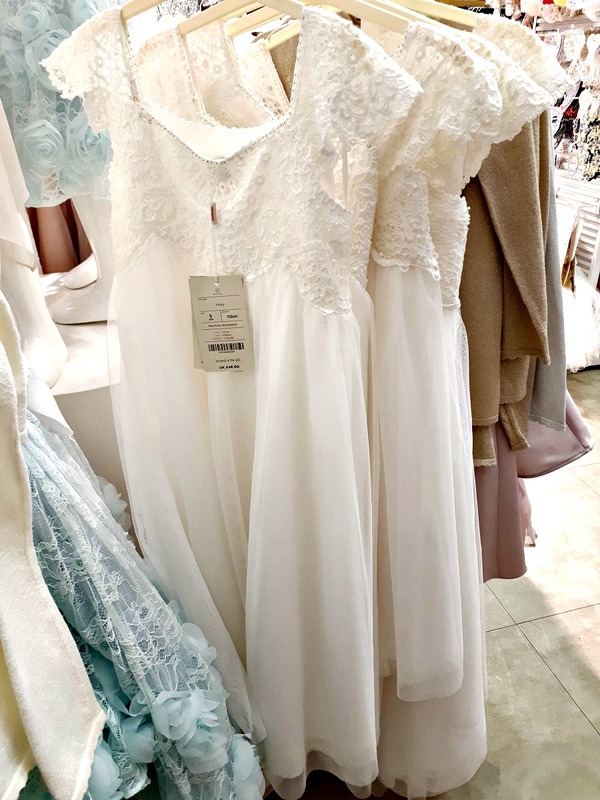 You all know I'm a huge fan of shopping from the comfort of my own home, nothing beats browsing pretty dresses, feet up, with a cuppa in hand... or so I thought. Perhaps I've been visiting the wrong stores because I came away from my visit to Monsoon thoroughly inspired by the in-store experience. This isn't because I was treated differently, in fact, after a lovely chat with the wonderfully brand focused Amanda and a quick hello to the gorgeous Tierna, I went about my business snapping, photographing and noting down information on what was available. The clothes themselves inspired me. Thinking on it I really do believe this has a lot to do with how the team have worked within their space in Moores of Coleraine. 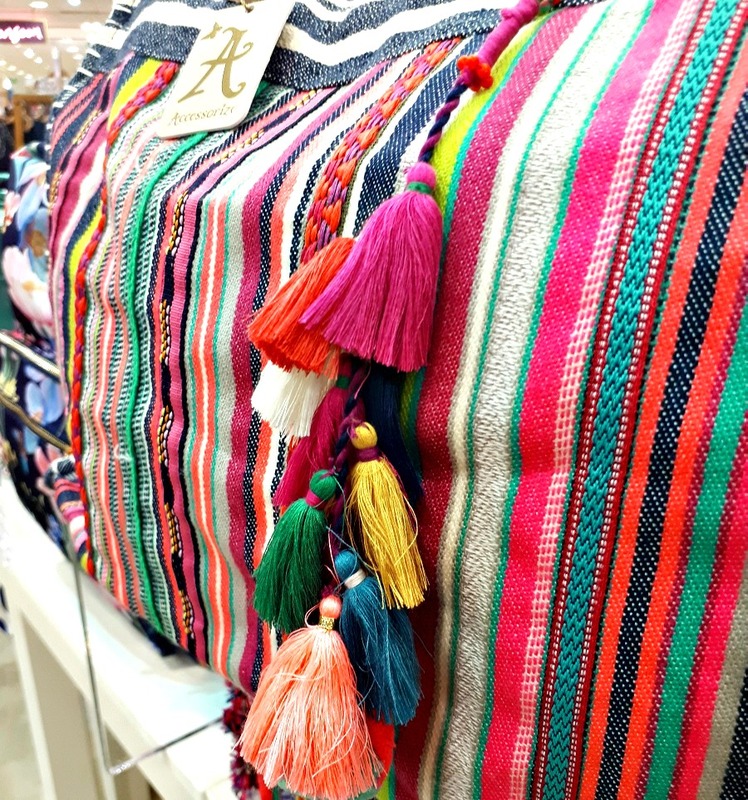 The Monsoon and Accessorize area is tucked neatly at the back of the first floor but it feels anything but cramped. 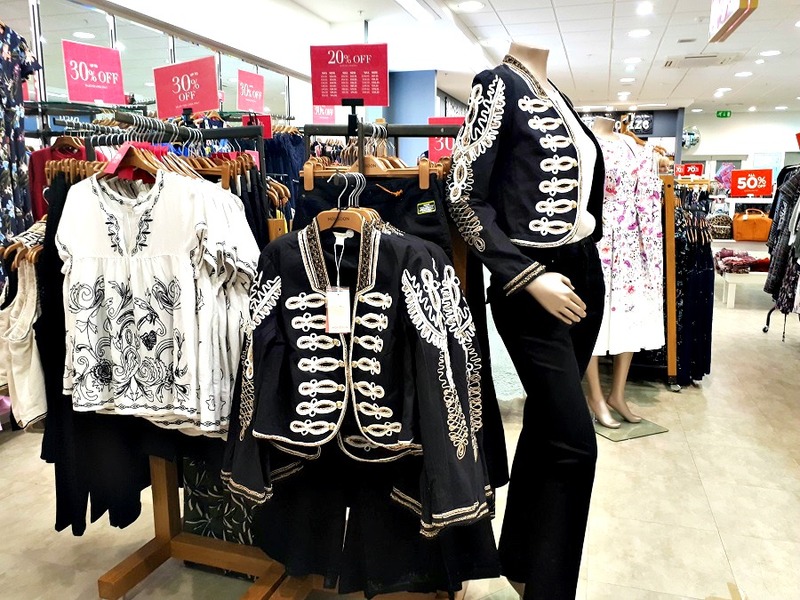 It is well lit and spacious feeling and though it's not a huge space and they have a lot of different stock, you feel as though you're in something of a larger store whilst perusing the wares on the rails. 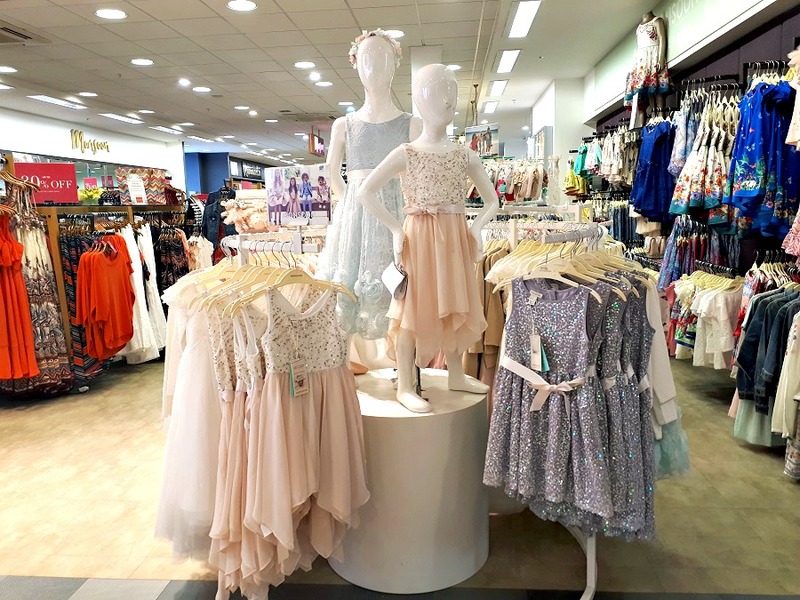 From the most dream worthy little girls dresses that look as though they've stepped straight out of a Disney movie (perfect for flower girls!) 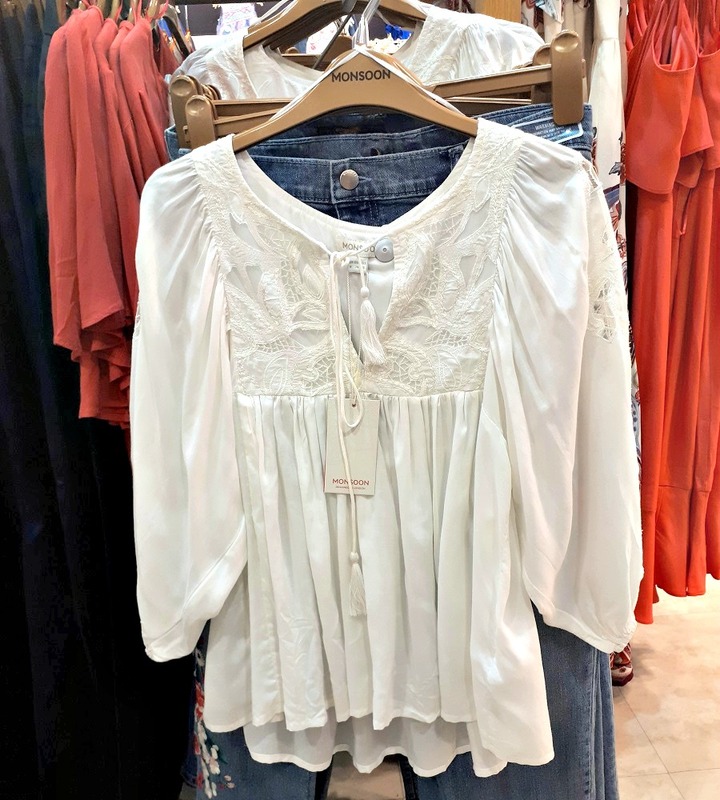 to affordable Communion dresses and tiny shoes any adult woman would desire, I fell in love with Monsoon at the first kids stand. 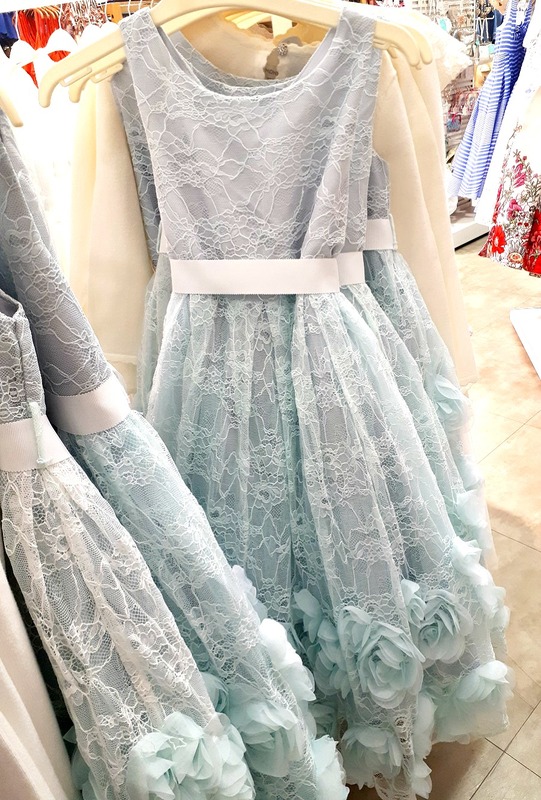 Prices ranged from £20 upwards with the Artisan Communion / Flowergirl dresses coming in at affordable prices (£48 and up). 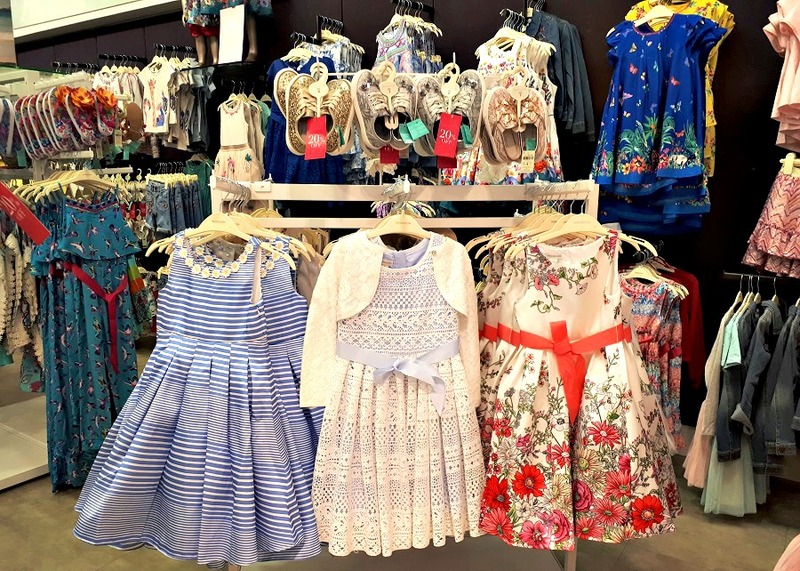 I am hoping someone makes that blue dress in adult size, and maybe the butterfly shoes too! 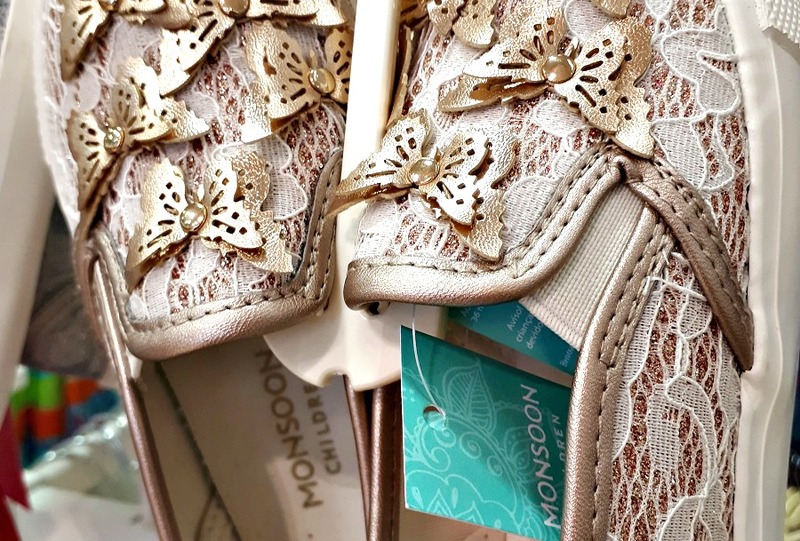 I was already rediscovering why I loved Monsoon before I headed to their ladies department. 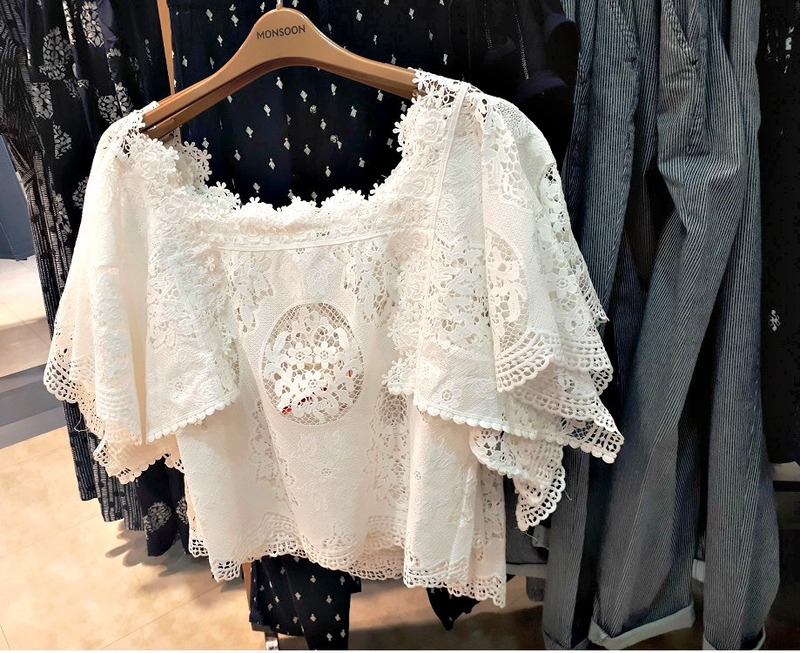 Monsoon has been a staple in my life since my early teens, thanks to a wonderfully boho fashion focused Mum who adores anything remotely folky in appearance. The amount of luscious velvet and colourful boho skirts of hers that have made their way into my own wardrobe over the years is a true testament of my Mum's patience! 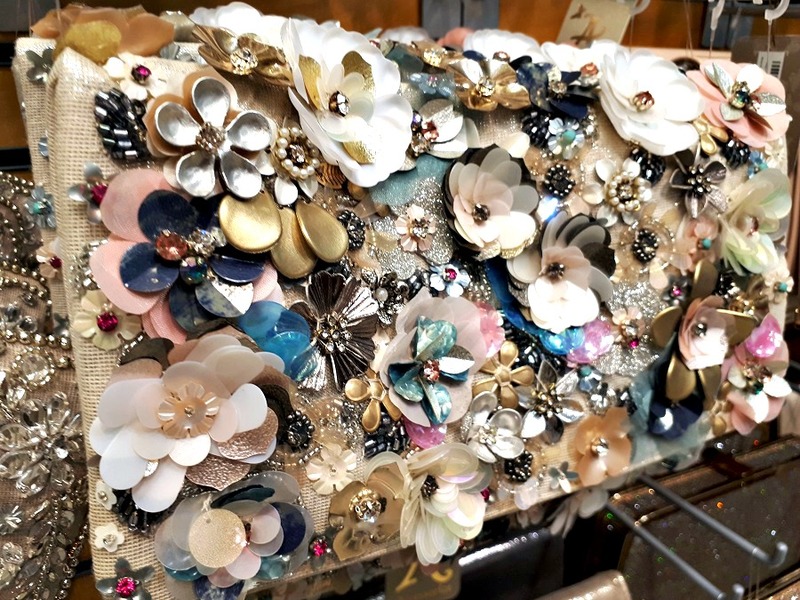 Embellishments are where Monsoon really exceed themselves. Every detail feels so substantial. Not flighty fashion pieces but true investment pieces that really do stand the test of time in your wardrobe. Both my Mum and I can attest to this fact. I found this is where my inspiration came from during my visit. 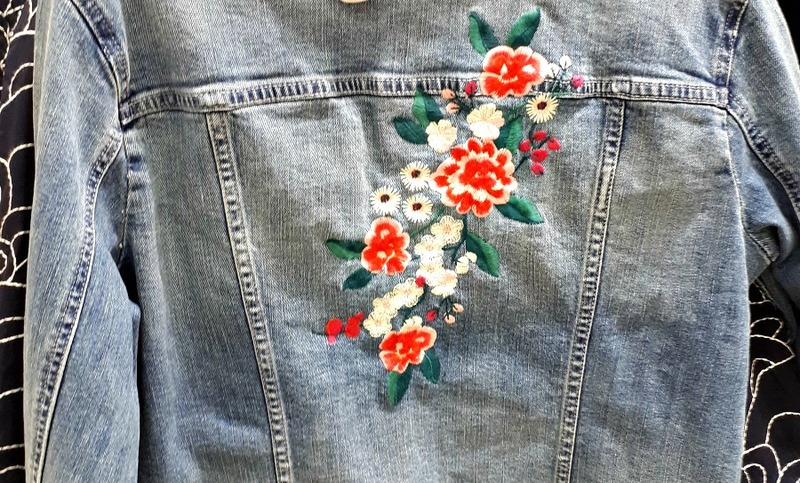 The detailing on the clothes is breathtakingly beautiful. 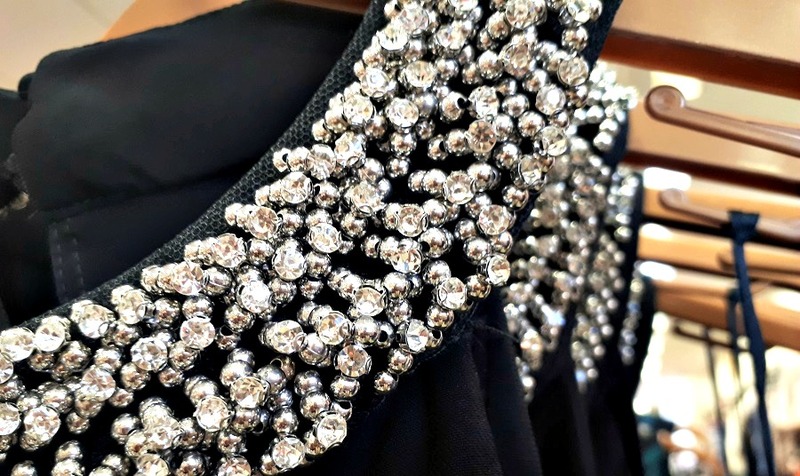 You'll find yourself really taking notice of every little touch in a garment. The materials themselves are soft and luxurious, the occasion dresses have weight, they drop exquisitely from their temporary hangers, lending themselves well to the browser's imagination as to how they'll drape wonderfully on the figure. Speaking of figures, I feel it's important to note that when I was in on my visit to Monsoon in Coleraine I was overjoyed to see that they had size 22 garments hanging on the rails. I knew that they had plus sizes online but it is fantastic to see a local concession offering these sizes in-store. Another fab fact about Monsoon in Coleraine is that they also have space for their other brand, Accessorize. 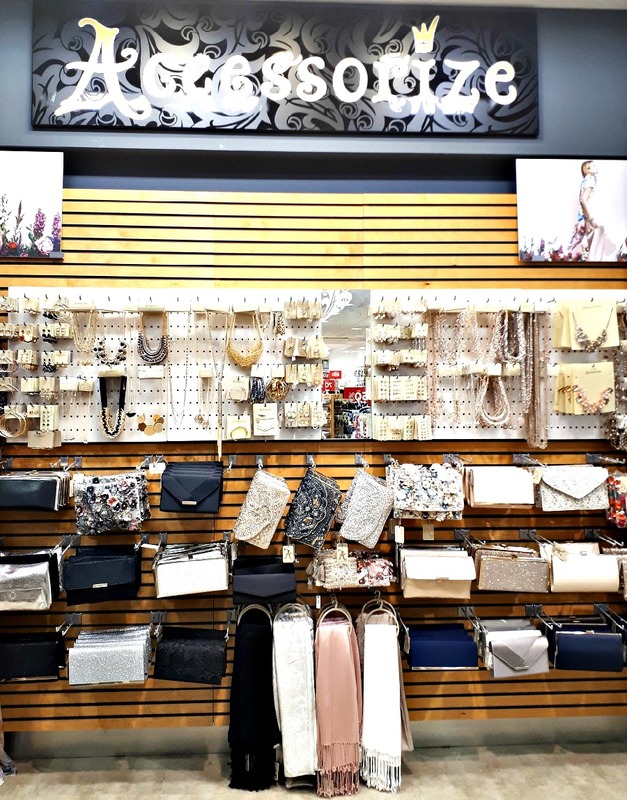 You can buy your outfit AND accessories all in the same place! 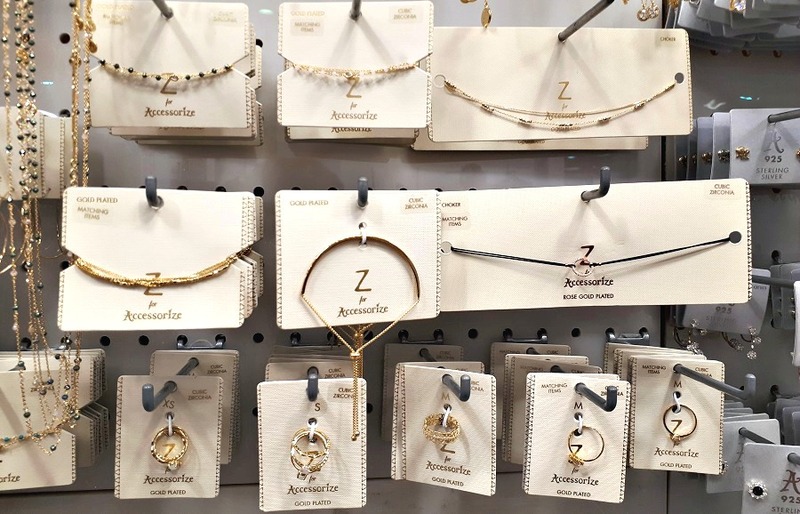 I have a particular fondness for the Z for Accessorize range and own a fair share of pieces already, they are delicate, fine and expensive looking and absolutely perfect for gifts. 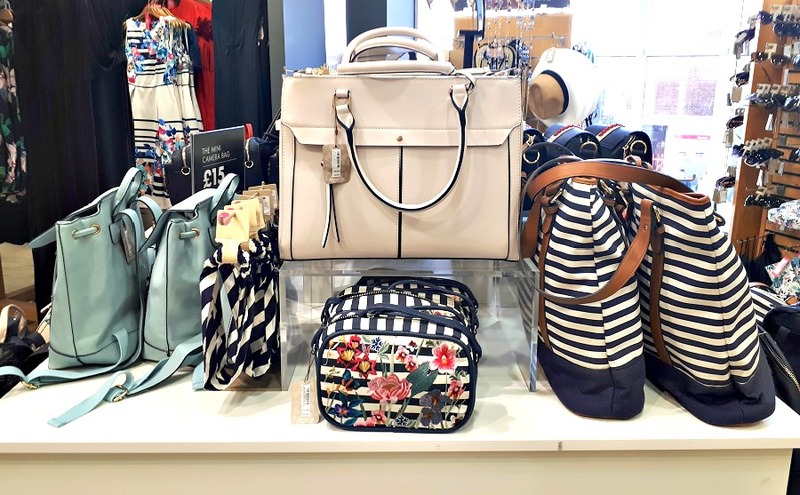 Accessorize are also a favourite of mine for bag options, whether you're searching for a holiday bag or you need a special clutch for an upcoming occasion, you can be sure you'll more than likely find it here! 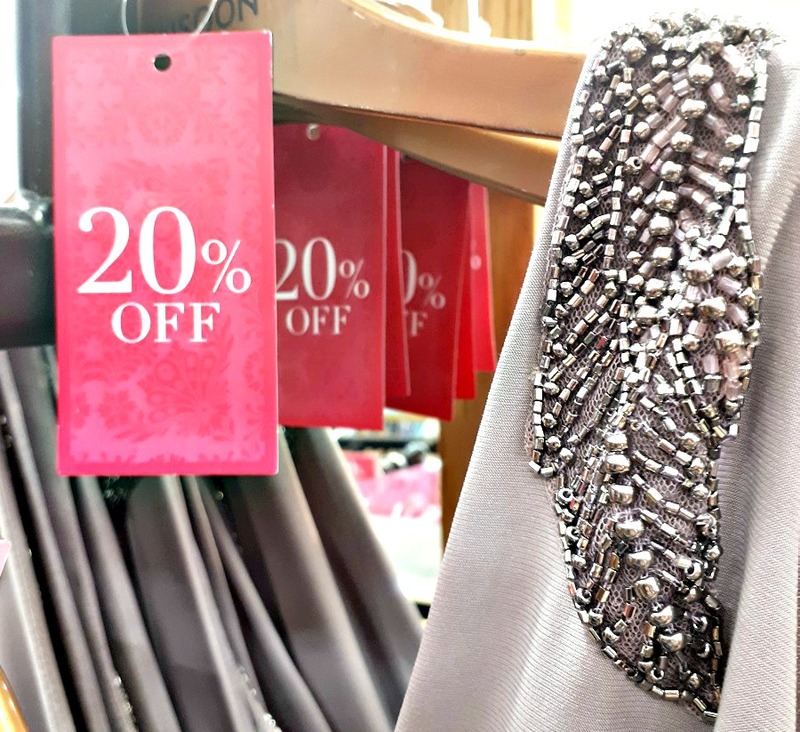 There was simply so many stunning pieces to take time to really experience and with many offers on at the moment such as 20% and 30% discounts, as well as sales pieces, it's a great time to pop in to Monsoon. I can safely say you'll be in very good hands with Amanda and the lovely Tierna. She may not have realised but I was watching during my visit. Paying close attention, as attentive as Amanda was herself to any customer who needed a helping hand. She gave fantastic style advice and seemed incredibly approachable and helpful to the customers that were in. Another point that I'd like to mention is that there were indeed customers in the area when I was visiting and still I didn't feel closed in or crowded, it really is a wonderful space. 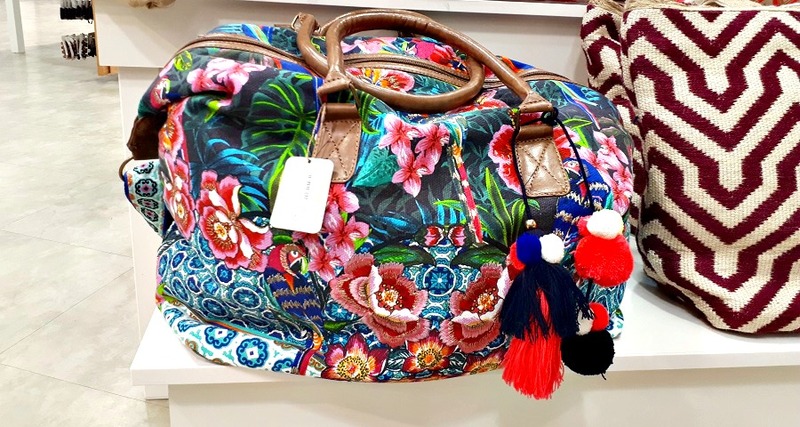 You may well be in the middle of Moores with all it's different brands, concessions and departments but nestled in the Monsoon area you really are transported to somewhere where it's just you and an array of embellishments, tassels, lace, flowers, embroidery, sequins and everything in between. I'd thoroughly recommend taking some time to yourself because clothes like these deserve your full attention and I know myself, my 6 yr old is fantastic but requires my full attention all of the time and sometimes it's nice to really take in what's in front of you. The look of a garment, the first touch and caress of that soft material and the dreamlike state you should allow yourself to be immersed in. I told you it was quite the experience, didn't I? I came away feeling as though I needed to return. There were pieces I know would serve me well through the years in my wardrobe and there were pieces that I simply had pure unadulterated and unapologetic desire for. The best thing about it? The girls at Monsoon in Moores Coleraine feel exactly the same and their passion for their brand really is infectious. Why not pop in soon for that special occasion or even to incorporate one or two investment pieces into your Spring / Summer collection? 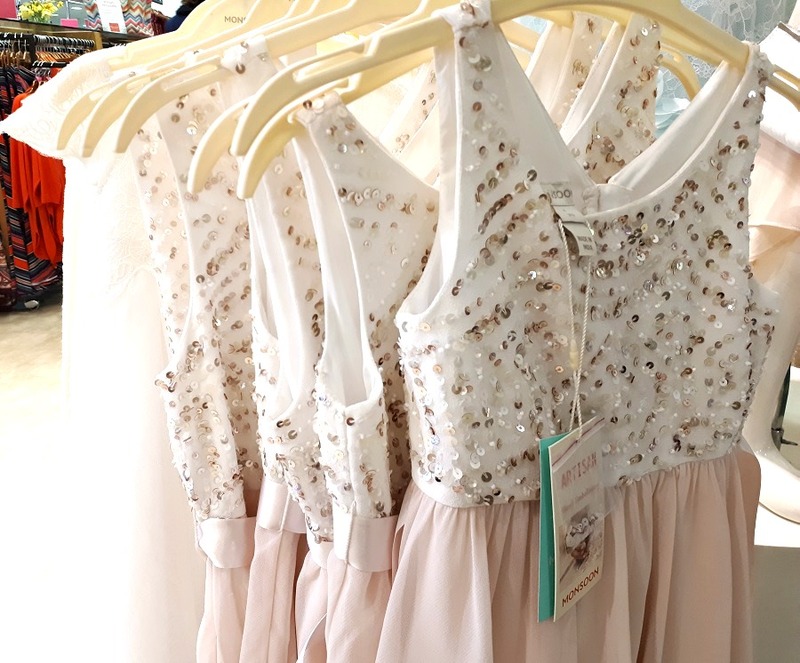 Perhaps you are looking for the sweetest little flower girl dresses or the perfect Easter dress? I'd highly recommend taking a visit into Monsoon and while you're there please do chat to the wonderful Amanda and her team about how they can help and if they can help. You'll come away feeling just as wonderful as I did! 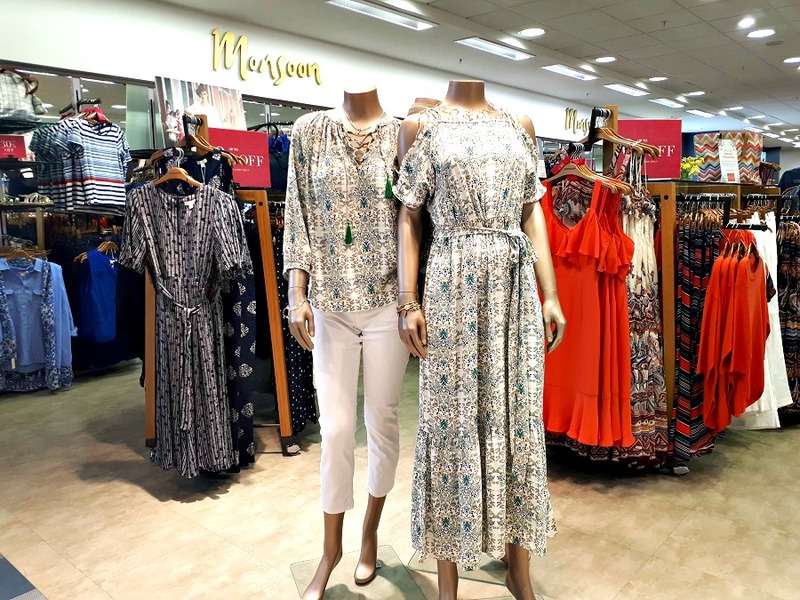 *Monsoon currently have an offer on that allows you to bring in any old item of Monsoon clothing into a store and you will receive £10 off any NEW Monsoon purchase, with your old clothes going to charity to be sold or recycled with donations helping disabled children in the UK. Ask in store for more details on this amazing offer. * I was kindly invited in to visit Monsoon, I was under no obligation, paid or otherwise to do so or to write this post. I was very kindly gifted a token of appreciation when leaving and for that I'm incredibly grateful though it did not influence this post in any way. 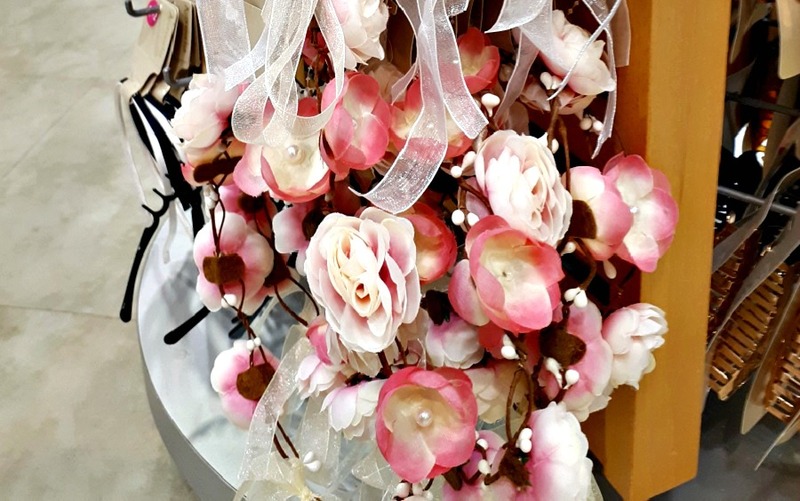 Local Focus: CFC Interiors and a Giveaway!